Oil drilling equipment has come a long way since its humble beginnings. 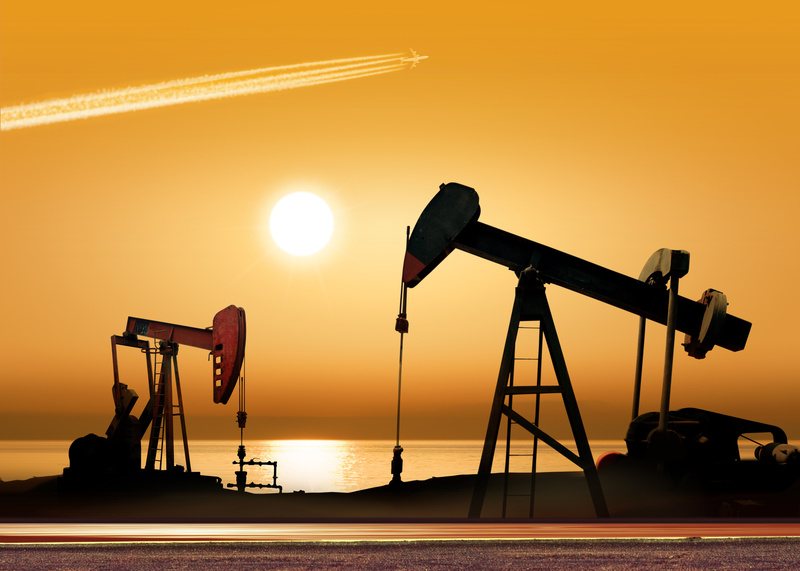 We take a look at how oil drilling technology has evolved over the years. The United States alone uses around 20 million barrels of oil every day. Oil is so essential to how we live our lives that we often forget humanity’s effort to gather it in the first place. When we realized the value of oil, we came up with a number of ingenious ways to extract it and use it to our advantage. Oil drilling equipment has come a long way since its origins and we think it’s important to revisit the past. We’ve compiled a brief history of drilling and how drilling equipment has evolved over time. Oil has had an effect on human life and culture since before we even knew what oil was. Ancient Mesopotamians used a substance called bitumen as a caulk for their ships and settings for their jewelry. Bitumen was used to hold the ancient world together. It’s said that even the pyramids of Giza were solidified using a form of bitumen. Bitumen was created when oil moved toward the surface of the earth and evaporated, leaving only a substance that had incredible holding properties. There is some debate over this, but bitumen is said to be the substance that held together Moses’ basket and Noah’s great arc. Bitumen is also closely associated with asphalt and mortar. These substances didn’t require drilling equipment, but they were the origins of human connection to oil. The most antiquated technique of using oil was simple– digging at the earth to try and reach a substance. When the substance(oil) was found, it was used for a number of things. People thought that the substance had medicinal properties and could serve as a balm. Thank goodness we now have medical technology that surpasses oil. Ancient Chinese oilers used the substance as a way to light their lamps and heat their homes around 2000 years ago. We didn’t have a sophisticated understanding of where the oil came from. We just mythicized about the flammable holes that released gasses and liquids. Once we put our minds to it, though, we started coming up with some creative ways to extract oil. Spring poles were made of an apparatus connected to a bent tree. The tree’s resistance was an essential force needed to dig deeper in order to reach water and salt. The method wasn’t intended to reach oil originally but it was an instrument of our need for salt. Steam power was introduced, allowing the Ruffner brothers to operate their spring poles at much higher rates. Oil wasn’t the primary concern for these people but it was well known that oil could be sold as a multipurpose product. Oil was thought to be a medicine and lubricant. This all exploded when Benjamin Silliman, Yale chemist, found that oil could be turned into lamp-lighting kerosene. People stopped what they were doing and invested in oil. Cable-tool rigs came out of spring pole rigs, but the real magic was when rotary drilling came along. In the wake of the massive oil boom, technology seemed to be waning. Drillers were finding that there were large beds of hard sediment in the earth. The sediment prevented drilling and it was well known that drilling improved as you moved farther into the earth. Rotary drilling introduced the idea of using a hollow drill stem that spun up debris as the head of the drill went deeper. Instead of needing to clear debris constantly, the materials would be rotated up to the top and spat out of the drill base. The most famous moment for the rotary rig came in 1901 when one rig in Beaumont, Texas struck oil. Not only was oil struck, but it blew out the top of the rig, raining down upon the workers. There is a classic photo of this moment that symbolizes the hopeful spirit of the times. The population of Beaumont tripled within a few months. Within a year, thousands of oil companies had moved in and started drilling. This happened just in time too, because the greatest demand for oil was just a few years away. World War I came around and increased the demand for oil by a large margin. The increased demand made for increased competition and competition always breeds innovation. People swapped wood rigs for steel and experimented with new drill styles. The real magic of rotary drilling, though, was the depth. No spring pole could ever match what the rotary drill bit could do. A Russian rotary drill rig reached a depth of over 40,000 feet into the earth. This was after ten years of drilling, but that result is incredible. While advancements have fine-tuned and streamlined our drilling technology, rotary rigs form the base of what we use today. Pretty impressive, right? Rigs today are mechanically powered and extremely precise. Tools like Digitrak, Touchscreens, and video control are things that the original drillers could never have imagined. Additionally, drills have the potential to do a lot more than they used to. Horizontal pad drilling allows one rig to drill numerous wellheads. In addition to multitasking, rigs can actually move on their own accord now. Rigs now have hydraulic “legs” that allow them to move to and fro along their area. Who knows where innovation will take drilling technology next. We’ve seen an impressive advance from digging with our hands and feet to controlling massive machinery with the touch of a button. We can only imagine that we’ll continue to be impressed. This is an exciting time to be alive. Oil drilling equipment is getting more sophisticated along with most other areas of industry. Not only are we advancing technologically, but we’re doing it in an environmentally conscious way. We’re expanding technology to meet and surpass our needs to have a better world for everyone. If you’re interested in finding ways to improve your relationship with technology, we’ve got the information you need.